Home Tech News Google Pixel 3 XL 'Notch' bug gives the phone 2 display notches, Google said that they fix that issue soon. 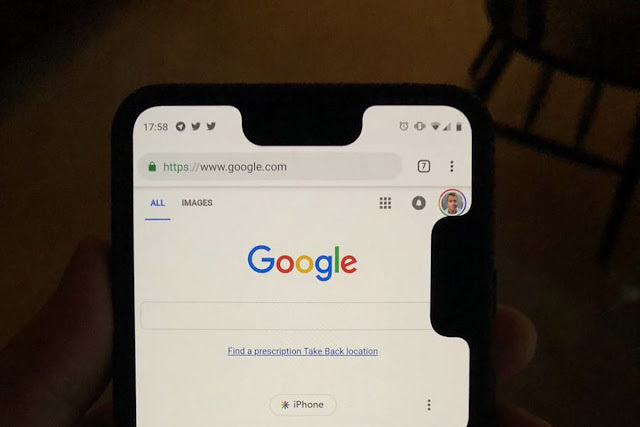 Google Pixel 3 XL 'Notch' bug gives the phone 2 display notches, Google said that they fix that issue soon. If you thought Google Pixel 3XL's big and bulky notch was enough to put you off, you were wrong. 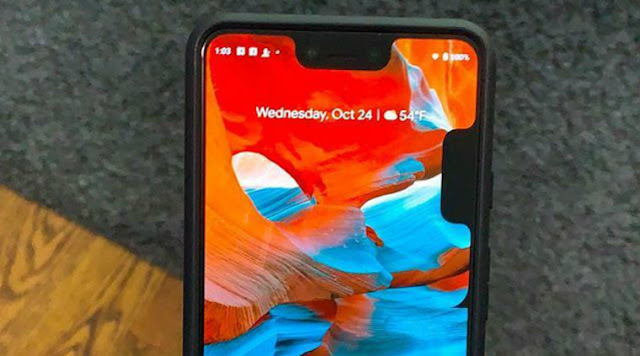 While several handset users (Hilariously) reported that their devices grew another notch on the side of the display, some were really annoyed at the glitch. The virtual notch was not seen at one particular position, and while some said it appeared on the left edge, some side the second notch grew on the right side. Luckily, Google is awere of the problem and says that it will fix it soon. The problem was first reported by UrAvgConsumer who posted a tweet on october 25. Althought there is no exact explanation of what caused this glitch, according to slashgear, there is a possibility that a rogue devoloper settings could have been enabled. This might have confused the Auto-rotate on the phone possible causing the faux notch stuck in the wrong place.The tech news platform says that android offers coders the ability to add a virtual notch to their phone so that they can test under development apps to see how they work when run on a device with a notch on the screen. According to Androidpolice, Google reached out to them to let the publication know that "Not only is the company aware of this highly anomalous behaviour, but that a fix should be coming soon". Google launched the third generation of pixel smartphone. The notch contains the earpiece ehich doubles up as one half of the stereo speaker setup, neatly sandwiched between two Front-facing Camera.